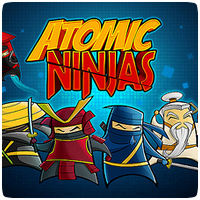 Grip Games, the developer behind 5-in-1 Arcade Hits, The Impossible Game and Foosball 2012, are working on a new title for the PS3 and PS Vita: Atomic Ninjas, and will be headed to both consoles later this year. The game is a 2.5D multiplayer platformer with ninjas, where you control super-powered ninjas in frantic online matches against other players. 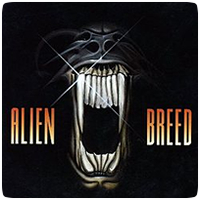 Team17 have announced that top-down shooter Alien Breed is coming to the PS3 and PS Vita this February. The game will support cross-save and cross-platform co-op multiplayer. The game’s story mode will include 30 levels and enhanced visuals. Better still, the game will also include unlockable trophies. Sony advertises the PS3 / PS Vita cross-play compatibility as a key feature of certain games, including upcoming title PlayStation All-Stars Battle Royale, and recently released When Vikings Attack, but the feature is far from perfect. The PS3 and PS Vita systems are quite different and run different operating systems, which means not everything works as it should. 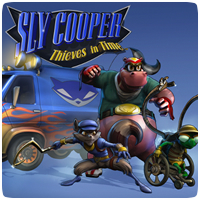 Following on from Sony’s Gamescom Press Conference, the company has released a new trailer for Sly Cooper: Thieves in Time as well as more details about the cross-play and cross-buy features in the game. 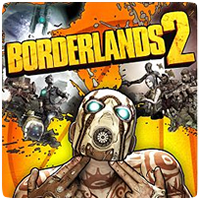 In addition to featuring cross-save, the game will also use Augmented Reality using the PS Vita to help you collect some valuable items as you play through the PS3 version of the game. 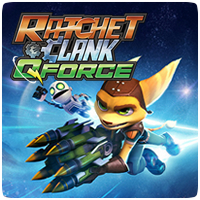 At the Gamescom Press Conference, Sony announced that Ratchet & Clank are coming to the PS Vita in Ratchet & Clank: QForce. The game will be available on both the PS3 and PS Vita, and will support full cross-play and cross-save support. The new Cross-buy initiative will also be extended to QForce, meaning anyone purchasing the PS3 version will be able to download the PS Vita at no additional cost. 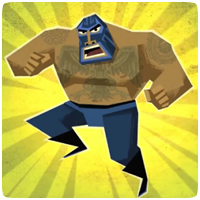 Drinkbox Studios have revealed that the PS Vita and PS3 exclusive Guacamelee will include cross-platform features, including cross-controller. “We’re integrating the Vita as a PS3 controller for Guacamelee, utilizing the Vita screen for a mini-map, and hopefully more,” Drinkbox’s Chris McQuinn told Joystiq. Cross Platform Features include a number of different ways for PlayStation Vita to interact with the PS3 and visa-versa. There are 6 cross platform features in total. Titles either support all of the cross-device features or only a subset. Here is a detailed guide on exactly what each feature is and how they are used. 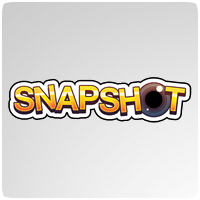 Snapshot, a 2D puzzle platformer, is coming to PS Vita and PS3 (with cross-platform saves) this fall. In Snapshot, you control a robot named Pic. Pic carries a high-tech camera that can “capture” and remove objects and parts of the environment. You can then paste the picture back into the world causing all the objects to come tumbling back out.